EOSCpilot started with five Science Demonstrators pre-selected from a call in 2016, with project execution from January to December 2017. Social Sciences – TEXTCROWD: Collaborative semantic enrichment of text-based datasets by developing new software to enable a semantic enrichment of text sources and make it available on the EOSC. 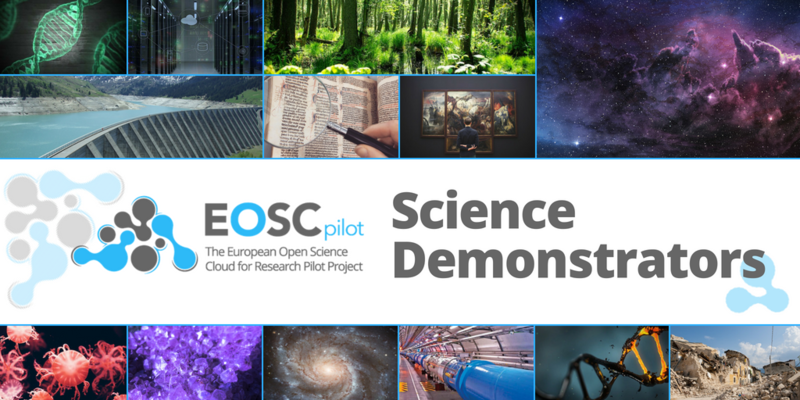 The first EOSCpilot Open Call for Science Demonstrators in April 2017 resulted in five new Science Demonstrators with execution from July 2017 to June 2018. The second EOSCpilot Open Call for Science Demonstrators in August/September 2017 resulted in five new Science Demonstrators with execution from December 1, 2017, to November 2018.